SANTA FE – Due to drought and extreme fire danger, State Game Commission properties adjacent to the Carson National Forest, including the north and south Colin Neblett, Elliott Barker, Urraca, Rio de los Pinos Wildlife Management Areas and the campground and day use areas along NM 515 leading to the Red River Fish Hatchery will be closed to all public access beginning today. The closure will coincide with closures on the Carson National Forest announced this week by the U.S. Forest Service. The closure order prohibits all public access and recreational activities on those properties. Campgrounds, parking areas, trails and trailheads will be closed to the general public. Department of Game and Fish officers will increase patrols on commission-owned properties throughout the Carson National Forest. Statewide, anglers, campers and hikers who use state wildlife areas are urged to check restrictions before they travel. 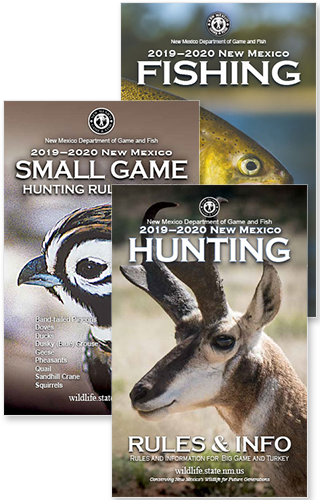 Wildlife areas observe the same fire restrictions put in place by the New Mexico Forestry Division or on adjoining National Forests, Bureau of Land Management and State Trust lands. For more information about fire restrictions statewide, please visit the New Mexico Fire Information website: https://nmfireinfo.com.